Some people cherish their morning routines. They might casually stroll out of bed, take a nice, long shower and prepare a hearty breakfast. Unfortunately, this may not be the case for many - especially for us! Many times, people are faced with the struggle of choosing between a five-minute shower and a quick bite to eat before they rush out the door. We believe that no one should ever have to make the decision between bathing and eating. 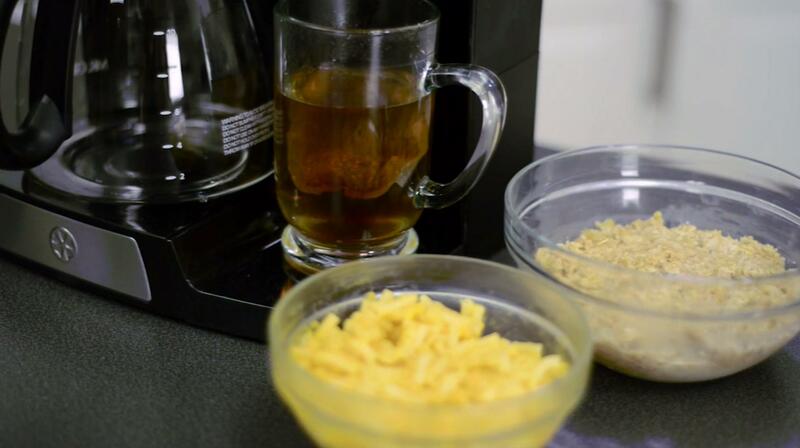 With the Mr. Coffee® 12-Cup Programmable Coffeemaker + Hot Shot Station, you don't have to. You can prepare both coffee and breakfast with the push of a button while you continue to get ready. It can be programmed up to 24 hours ahead of time, meaning that you can set up your coffee and breakfast station the day before you need it. In four minutes, you'll have a fresh pot of java and hot water for oatmeal and other instant meals to keep you powering through the early hours of the day. Talk about multi-tasking. The Mr. Coffee® 12-Cup Programmable Coffeemaker + Hot Shot Station helps morning sprinters everywhere get more done in less time.